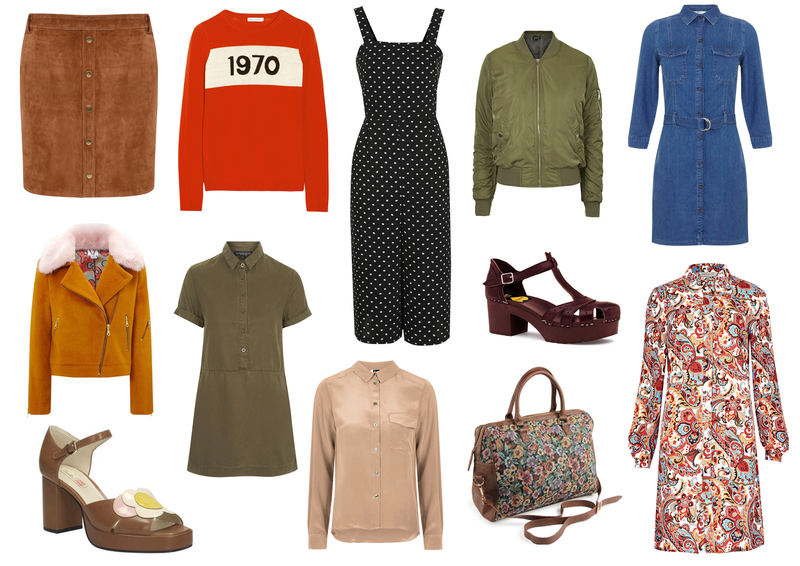 Another day, another post about 70s-tastic items I'm mentally spending my paycheck on. I was about to apologise for a lack of varied content on this here space of the internet recently, but then I stopped myself, for the simple matter that it's MY name in the title - jenessa likes to write. While nothing has changed and writing is still one of the most rewarding and relaxing things in my life, I never want to put myself in the situation where i'm posting things on here just for the sake of it, as surely that defeats the whole point? My day job has me very happy and very busy, so I won't apologise for prioritising my current career success, only updating this blog when I genuinely have something to say. But anyway - one of the major perks of being so busy at work means I can finally afford a cheeky splurge here and there. I treated Topshop like an ex boyfriend all through University - you know the score, have a little stalk every once in a while but never get too close. While it's still what I would consider pricey, some of the items above are almost too lovely to ignore - the culottes jumpsuit, kahki dress and silk shirt particularly are all so versatile but effortless 70s. You have to hand it to Miss Selfridge and Marks And Spencers too - it's not surprise that cute denim dress has already sold out, and having tried the paisley number on yesterday in M&S Leeds, it's completely befitting of it's £39.00 price tag.